A shifty Broadway bookie, Sorrowful Jones (Bob Hope) becomes a reluctant foster parent when an anxious gambler leaves behind his little girl Martha Jane (Mary Jane Saunders) as a "marker," or IOU. When the father is killed by mobster Big Steve Holloway (Bruce Cabot), Sorrowful decides to hide Martha Jane from the authorities, lest the poor girl get tossed in an orphanage. 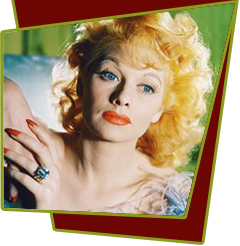 Lucille Ball co-stars as Sorrowful's erstwhile girlfriend Gladys, who along with Mary Jane is instrumental in "reforming" the cynical Jones. The climactic scenes, wherein Sorrowful tries to smuggle a horse into a hospital in order to bring the little girl out of a coma, deftly combines slapstick with pathos. Special Notes: Bob Hope and Lucille Ball reprised their roles in a Lux Radio Theatre broadcast on November 21, 1949.